The new football season starts on August 11th, or so the media would have you believe and they would be wrong, very wrong. No the real football season starts tomorrow at Alfreton Town when the Harriers will be playing the first game of ‘our’ season. It’s been a comparatively quiet pre-season for us with two of last seasons squad going to AFC Telford (Andre Brown and James McQuilkin) Ryan Croasdale to AFC Fylde, Elton N’Gwatala to Dundee FC, James Pearson to promoted Macclesfield Town, Nathan Vaughan back to Solihull Moors for the umpteenth time and Manny Sonupè to Stevenage. Seven replacements came in so welcome to Ashley Chambers and Billy Daniels from Nuneaton, Ryan Johnson as part of the Sonupè deal from Stevenage, Kane Richards once of Dover Athletic, Ed Williams from down the road in Gloucester and finally two from tomorrows opponents: Ed Wagner and James Baxendale. 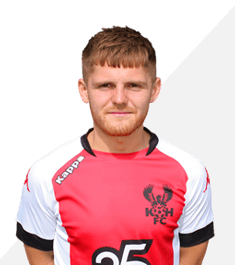 As well as the last two mentioned Dan Bradley will also be returning to his old club tomorrow and all three will hopefully be wanting to get one over their previous employers. Town have also been busy recruiting over the summer and have far too many new players to mention but the head count will be just short of twenty. Two of those new ones are former Harriers with Martin Riley and Richard Peniket now gracing the slopes of the Derbyshire club. The spree that Alfreton have been on has raised many eyebrows in the non league world with most surprised that they seem to be the new ‘big spenders in search of the holy grail’. It could all end in tears and, hopefully, starting tomorrow. We shouldn’t have any injuries tomorrow, surely, but at Solihull Moors last Saturday both Declan Weeks and Ed Wagner were missing with slight injuries. Hopefully that’ll just be a precaution and at least one of them will be seen tomorrow. This is a tougher task that we could wish for on the opening day of a new season and with Alfreton now being an unknown quantity we’ll have to be on our mettle. We saw enough in the 3-0 at Solihull last week that should give us hope though. Durrant, Nicholson, Ramsbottom, Shiels, Keane, Wilde, Lane, Clifton, Riley, Middleton, Clackstone, Disley, Platt, King, Clarke, Hotte, B Johnson, Chettle, Denton, Bateson, Peniket, Bacon.